This information is for people who have already signed up to A Year With My Camera. If you have pre-sign up questions, please check this page: Questions? Please don't be overwhelmed by the amount of information that follows. An email will arrive in your inbox every Thursday. (See below for what to do if it's not there.) These emails follow the order of the lessons in the workbooks. You can choose to start with lesson 1 in either of January, April or September of each year. So if for example you join in August, you will receive some pre-course preparation emails in the run up to the first AYWMC lesson in early September. You will then get an email every week until the following August (unless you want to opt out, which you can do in 1 click in any email). This is not compulsory, but we are a nice group of people. We are not competitive, aggressive or bossy. We are just normal people with busy lives who enjoy chatting to other people working through the course. 1. Facebook: this is the most engaged place. Click here to join the current AYWMC Facebook group. 2. Instagram: use the #AYearWithMyCamera hashtag to find other students. Follow the course account here: @AYearWithMyCamera. And follow my personal account here: @EmmaDaviesPhoto. 1. The emails are free. Once the main course starts, the first 6 emails contain the entire "Get Off Auto" module from AYWMC, including all the quizzes, checklists and examples. The subsequent emails contain the essentials of the course only. 2. For people who like a book to hold, and a checklist to tick off, the 2 workbooks that comprise the expanded version of AYWMC are available on Amazon. The books contain more examples than I can fit into the emails, more projects, and an extra module (Travel). 3. For people who like to watch a video, the course is available as a series of video lessons. This version includes the relevant chapters of the books in pdf form. That's all you need to know to get started. In due course you may have more questions. I've set out below all the answers to the most frequently asked questions, including how to post in the Facebook group. If you have a question not covered here, the quickest place to get help is the Facebook group. 1. Look in your spam or junk folder. 50% of people getting in touch with me eventually find the emails in their junk folder. Please check before you email me. Please. 2. If you use gmail, the emails are probably in your Promotions folder. Drag my email from your Promotions folder to your Primary folder. All future emails should now go to your Primary folder, but I can't guarantee it. If they keep going to Promotions, either live with it, or set up a filter for my email address (admin@emmadaviesphoto.com). 3. If you use hotmail, I can't help you. I honestly don't know why hotmail has deliverability issues, but some people just don't ever find my emails. Please re-sign up with a different email address. Are you sure you put in a valid email address? Sure? Did you get the Welcome email straight away? If not, there was probably a typo in your email. Try signing up again. Do you use Hotmail? See point 3 above. There are more than 20,000 people getting the emails. I just don't have time to resend the emails to everyone who gets in touch and says, "Please can you resend me the last email." If you get in touch and ask me to resend an email, please don't be offended if I don't send you a personal reply, but simply a link to this page. Will you delete me from the course ever? Me personally, no, unless you plagiarise me or steal my material. However, ActiveCampaign will delete you from my list if you never open any emails. If you are the kind of person who stores these emails, unopened, in a separate folder, you will eventually be deleted from the list. It's just the way the algorithm works. To avoid this fate, please make sure you open at least one email every month, and preferably click on a link to indicate you are a real person to the ActiveCampaign algorithm. I hate Facebook. why don't you run a forum, or use my favourite social media site? For the time being, the private Facebook group is the most efficient place to host my community. Facebook is the most popular social media site of everyone doing AYWMC (I do check regularly. In fact you can let me know where you want me to host the community by filling in this short survey: Click to fill out survey.). Most people are on Facebook every day, so it is easy to check in to the group without having to log in and out of a separate site. You don't have to remember another set of usernames and passwords. And it works just as well on phones as on desktop. We do have a community hashtag on Instagram: #AYearWithMyCamera. Make the Facebook notifications stop! To stop posts appearing in your newsfeed: go to YOUR newsfeed (you can't do this from within the group). Scroll down until you find a post from this group. Click the downward arrow and then select "Unfollow group". You will stay in the group but posts will not appear in your newsfeed. What are the Facebook posting guidelines? Please read all the guidelines here: AYWMC Facebook posting guidelines. Do I have to buy the books? I wrote the workbooks because students in the first year I ran the course asked me to. It is for those of you who like to hold a book in your hands, like to write things down and take notes, or want to move on faster than the pace of the emails. I have space to include more examples and many more projects than is possible in the emails. Is there a video course? Is this a project 365? No. You don't have to take a photo every day. I've done a couple of P365s, and whilst the discipline of taking a photo every day has benefits, I think you run the risk of descending into routine and drudgery instead of remembering the importance of having fun and enjoying your camera. What do I do if I fall behind? Everyone falls behind, by the way. Don't beat yourself up. There is no formal feedback included in the free course. If you join the Facebook group you will find many people who are happy to give you informal, constructive help with your images. From time to time I run (paid) crash course weekends where you have the chance to focus on one topic for 48 hours and get as much individual feedback from me as you can take. Do you advertise to us? Uniquely in the online photography space, I only promote my own products. I do need to make a living, so yes, you will see links to my books and paid courses in every email. If that's not what you signed up for, you can unsubscribe from the emails in 1 click by finding the "Unsubscribe from this list" link which is at the bottom of every email. Spend your money on a better lens, not a new camera body. But only if you are prepared to invest 6 weeks learning to use it. More details here: Don't buy a new DSLR until you've read this post. Does the course cover off-camera flash? No. Visit Strobist for free off camera flash advice. I'm not a beginner - have I joined the wrong course? Possibly, but don't give up yet. The first 6 weeks are very, very basic exposure, aperture and shutter speed lessons. After that we move on to more creative topics including light, composition and finding your style. Give them a try. If they are too easy, just unsubscribe. But please tell your beginner friends about the course before you go. We find time for what's important. If photography isn't your priority at the moment that's fine. However, this course is designed to be an active, hands-on, do the homework kind of course for people motivated to learn. You won't make the promised progress if you just open the email each week without doing the project (or even worse, just file the email in a folder to read sometime later). 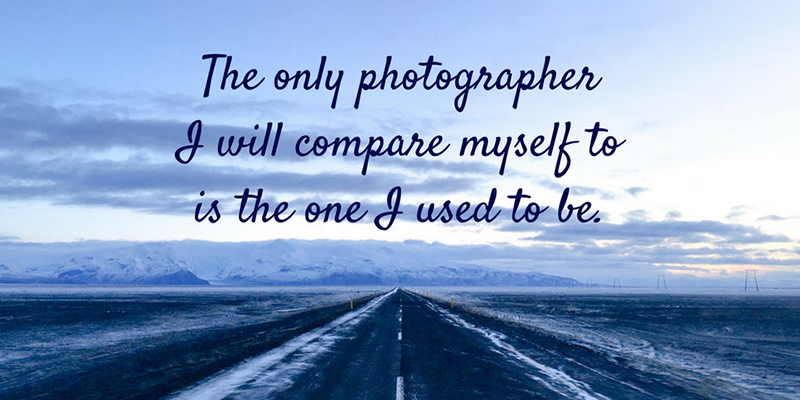 I love bloggers and I love it when you blog about your experiences doing A Year With My Camera. You are one of the best ways new people find out about the course, and I thank every one of you who takes the time to write about AYWMC. Send me your links and I will share them. However, please blog in your own words. You may quote word for word any single paragraph from any email with no need for further permissions, if you include a live link to http://AYearWithMyCamera.com. The same for any single photograph from any email, if you credit me: http://EmmaDaviesPhotography.com. If you want to publish any more than this, please contact me for permission. But the best, most personal blog posts will be the ones where you use your own words and your own photos. Those are the ones people will connect with. No. A Year With My Camera is trademarked, and the material is copyright. You may not use the curriculum in whole or in part in your own photography workshops or classes. If you come across anyone doing this, I would be grateful if you would let me know. If you run, or are part of, a peer to peer camera group or club (where everyone is equal, no one is teaching), you may follow the course together. You may have someone nominally in charge of progress and logistics, but they must not be set up to teach the curriculum. If you want to order 10 or more copies of the workbook for your camera group, please contact me for a group discount. If you are a voluntary assessor for someone doing a Duke of Edinburgh skills module, or a similar scheme, you may use AYWMC to help, teach and advise as much as you like. Please take my thanks for giving up your time to help spread the word about the joys of photography. More guidance on using AYWMC for D of E can be found here: AYWMC and D of E.